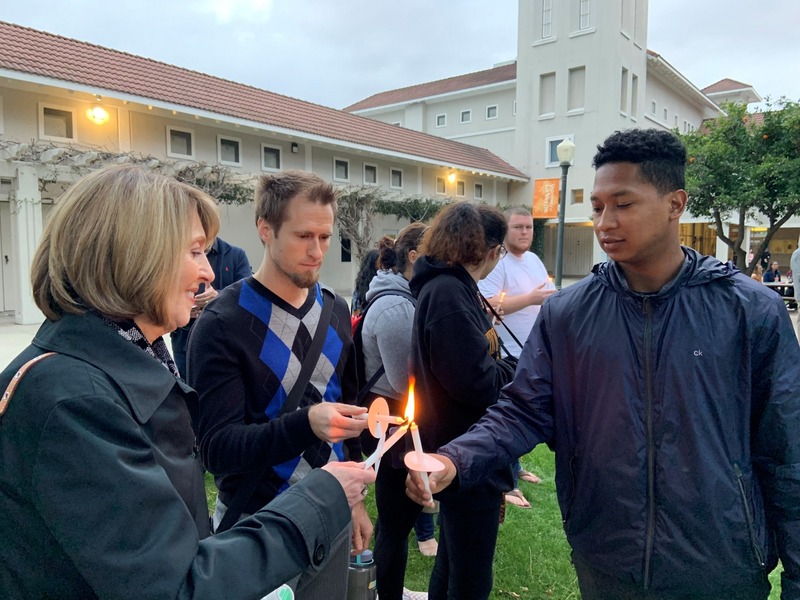 The University of La Verne community gathered Monday night for a moving vigil led by the University Chaplain Zandra Wagoner. Several students shared reading by poets and led the community in prayer. The University of La Verne Choral united the crowd with songs and hymns. 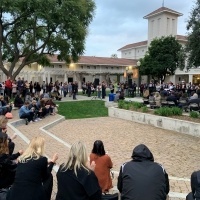 More than 200 students, faculty, and staff attended the evening vigil in Sneaky Park, which was organized to bring the community together following racially-motivated hate crimes targeting University of La Verne students last week. 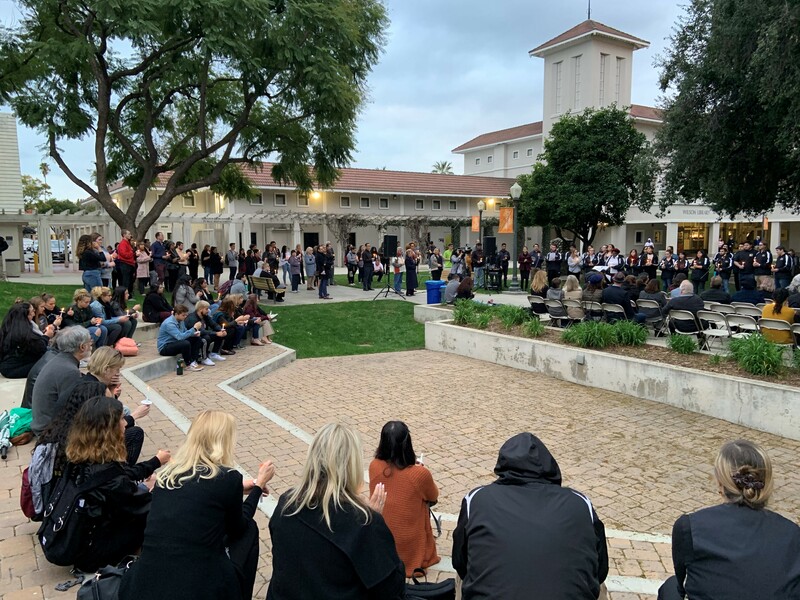 “This vigil is for our campus community to gather to lament the violence that has occurred, and to support one another in our grief, anger, and confusion,” Wagoner told the crowd. “We are in the midst of a storm right now that’s in our community. There is fear and anxiety swirling around us….We need our collective voice if we hope to transform our pain into wholeness,” she said. Wagoner read messages from members of the La Verne Church of the Brethren, which founded the university more than 125 years ago. Before lighting candles, Wagoner asked the community to notice the significance of their candles and their individual sparks, unique dreams, and contributions to the community.